Arches N.P., March 19th, 2013 at 8:12 PM. 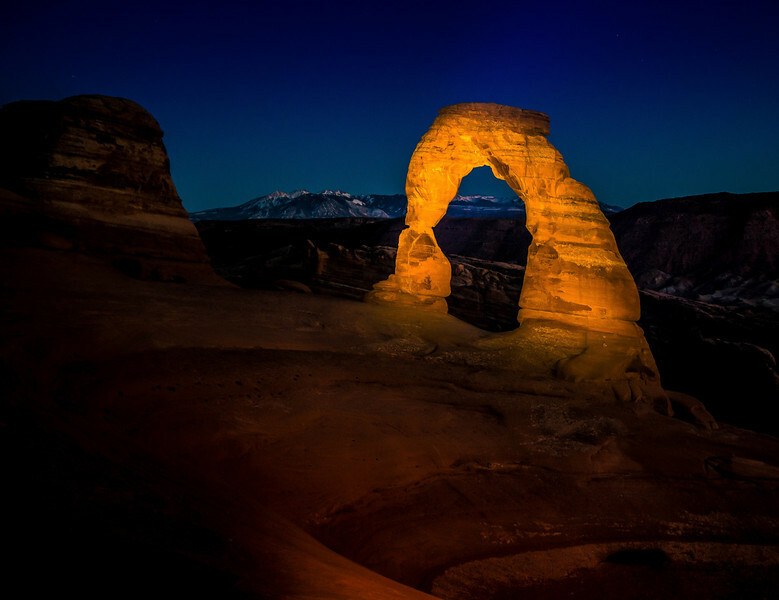 Delicate Arch captured at fading twilight with light paint using a single hand held spotlight from across the bowl. Residual light put the soft glow on the foreground. Settings were ISO 400, 20 seconds at f5.6. I cleared this first with the nearby photographers who were doing time exposures. Distance from the camera to the 65 foot tall arch was 250 feet.